Ugh, adulting. /ādülting/ [Urban dictionary] to do grown up things and hold responsibilities such as, a 9-5 job, a mortgage/rent, a car payment, or anything else that makes one think of grown ups. Adulting is that one thing we are all starting to do but no one really likes it or talks about much about it. Well guess who’s here to address the elephant in the room? The (sad) truth is as much as we all wish we could do this, we really can’t. So whilst we’re here we might as well enjoy ourselves and have a good time. 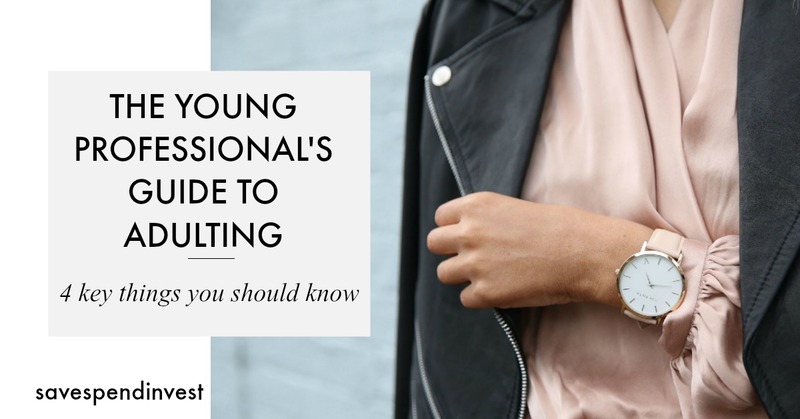 If you’re a young professional who’s started work in the last 0-3 years, this is for you! Renting Pro: Independence is really nice. You can have your friends over whenever, host dinner parties and enjoy your own space. You can do things in your pace and time, and you have complete autonomy of what goes on around your home. It’s also good to start building and accepting responsibility and helps you mature faster IMO. There really is no feeling quite like having your own place. Con: Your cooking, cleaning, ironing and all things to do with YOUR life and welfare, is your responsibility. There will be lonely days where you don’t want to do anything, but as no one is there to take care of you, you gotta do what you gotta do. Let’s not talk about all the bills and miscellaneous other expenses that come with the decision to be an adult. TIP: I always encourage young professionals starting out to stay at home for as long as possible. The savings benefit, coupled with your parents still being responsible for you is needed when you’re just starting out and finding your feet. Don’t rush into an unsustainable lifestyle for independence. Depend on your parents while you still can. Again, I had this whole idea of going out whenever I fancied and being able to spend money without a care simply because I was getting a pay cheque at the end of each month. But between taking care of my commitments and responsibilities, being a good daughter, sister, girlfriend and friend, I did not have as much money to spend on myself and had to make some tough choices. Social hangouts: On one hand, having more money than you’ve probably ever had before feels good, and you can easily take this for granted especially if you’re living at home. You can afford nicer things, can travel with a reasonable budget and spend things on what matters the most to you. You can go out with your friends, enjoy yourself and spend good money. There’s rice at home: However, you will soon quickly realise that going out every weekend and spending money is unsustainable and will run you and your bank account down. Having to choose between going out for Steak or staying at home and cooking rice can be tough at first, but you will quickly have a mind shift when it’s only the 10th day of the month but you have less than planned to spend. TIP: Live below your means. Come up with alternatives for spending [less] money with your friends such as movie night in, games night, staycation etc. Say no more frequently. As a young adult, one of the many pleasures you may desire when you start earning is travelling. Either to see the world, or to simply have fun, travelling is a privilege we all dream to experience. And when you can finally afford it, you may go overboard. Travelling can get expensive before you even get on the plane, and even more so when you arrive at your destination. Careful planning, budgeting and being street smart is what you want to do. TIP: Plan and save for it. Decide how much you have to spend and from there decide many places you’d be able to afford. You may only have enough for three holidays in a year. Fine, maximise it by planning well in advance and taking advantage of deals and sales. Remember, there are places to go to without even leaving your country. Other states or cities, or even simply exploring the town/city you’re in by staying in a nice hotel/apartment can leave you feeling all the feels you feel when you travel. However, by the time it’s charity collection day and you have to dig through piles of clothes, you begin to wonder why so many of them still have tags. As a young adult, your first few months working are your investment and adjustment months. Investing into making sure you feel settled and just getting a grip of life, and adjusting to the routine of your ‘new’ life. However, it is paramount that you start to think not just about where your money goes, but also how much. Are you buying things for the sake of trends or will you still have that coat in the next 2 years? TIP: Invest in quality classics over trends. Not to say if you like something don’t buy it, but make sure your needs come first and you have surplus for your wants. Have any more tips to share or wish you knew earlier? Please share in the comments! Wishing you all the best in your life as a young adult – you’ve got this! This is very key and I love it. Especially pointing out that staying home doesn’t mean you save more. Everyone needs to be smart and thoughtful in this adulting life. Great post! I’m a year into “adulting” and I’m honestly just starting to digest some of the tips you’ve given above!